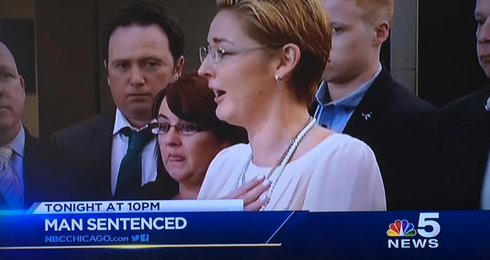 WMAQ-TV, the NBC O&O in Chicago, has been airing promos for its 10 p.m. newscast that use a slightly different take on the NBC O&O graphics package. Overall, the look is a bit richer and more saturated and relies less on the blocky 3D elements. 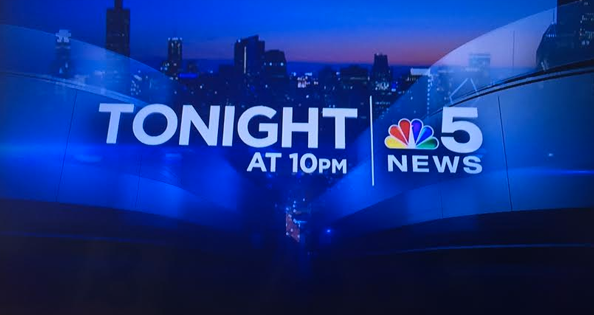 In the full screen graphic used at the end of the promos, for example, the words “Tonight at 10 p.m.” are still placed in a 3D environment with shapes inspired from the NBC peacock, but this look is more translucent. The package also adds angled elements, somewhat reminiscent of the Hearst graphics package that debuted in 2012, especially in the lower thirds, which draw inspiration from the main package’s L3s, but seem to be a bit bolder and also feature subtle bursts of light.